“Tis the season to be Jolly, fa lalalala le la la la. 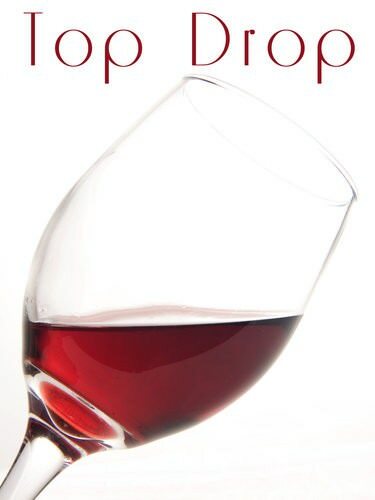 It is the Christmas edition of “Top Drop”. What have I been drinking this month? With the heat of December I have been seriously enjoying the lighter style of wines. I have decided to review one of each variety this month, so regardless of whether you are drink, red, white or champagne I have a suggested wine. Please give one of these a go and let me know what you think. I have absolutely yearned for this wine. I discovered it whilst attending “The Cheesemaking Workshop.” They served a glass over lunch and I was hooked. So much so that I made a special trip out to the vineyard for a wine tasting and stocked up on my favourites afterwards. I have now polished off the last bottle, so tried to purchase it at the local IGA liquor to no avail. 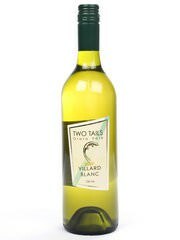 There aren’t too many bottle shops which stock local boutique vineyards but our local IGA does, they had every other variety in the Two Tails range, unfortunately, though the Villard Blanc was out of stock! There seemed to be no other choice than to take a 40 minute drive out to the vineyard. When I arrived there was more bad news. The Villard Blanc was no more! Completely sold out! I had not even contemplated that my “Top Drop” of the month would have been completely consumed. Thankfully all was not lost. The vineyard owner informed me that he thought there may be a few bottles of the 2007 Villard Blanc. I started to relax a little. I was offered a taste of the 2007, (already nicely refrigerated,) and whilst it wasn’t the same wine as the 2008 it still had the crisp dry fruit that I have been enjoying. I had a few more sample sips and decided that it was equally as enjoyable. Then I discovered that by “a few bottles” the gentleman actually meant there were only three left! I am sorry to say dear readers that I have left no 2007 Villard Blanc at the vineyard for anyone else. If you read this article and decide you may want to try this variety I am afraid you will have to wait… but not too long. Whilst at the vineyard I was offered an extra little treat. I was poured a glass of the current vintage Villard Blanc to try. The winemaker had just finished perfecting the blend and it was now in the bottling stage. The sample bottle happened to be in the tasting room and I was offered a preview. 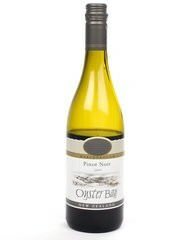 It was delicious, another very easy drinking, white wine. It will be available for sale after Christmas and will retail around the $14.00 mark. I am looking forward to purchasing a few bottles before they too become scarce. Thankfully this is a much easier wine to find as most bottle shops stock this wine. It is a beautiful light red which is perfect for drinking through the day. I seem to always switch to a Pinot Noir as my red wine of choice in summer. 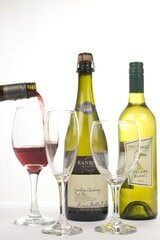 I find the usual, Merlot, Cabernet Sauvignon and Shiraz too heavy for our summer drinking, especially if you happen to want a drop at lunch. This may seem like a strange pick for my champagne of choice but please let me explain. Now I love my beautiful expensive bottles of champagne as much as anyone (maybe a little more… okay, maybe a lot more!) but lets face it, at this time of year we are all drinking rather a lot of sparkly, so it is not really the occasion to splurge, every second day for an expensive bottle. 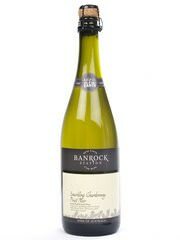 This is a sparkling Chardonnay which can be found at any bottle shop. It is light and easy to drink. It is not too sweet and is really rather good for the price. It is not a cheap and nasty, although it is very very cheap. I have been buying this bubbly by the dozen just to keep in the bar fridge for the impromptu drinks when friends drop by. So far it has been thoroughly enjoyed by all. We are now on our second dozen. By the dozen the price was a mere $6.50 per bottle. So there we go my lovelies, I hope you give some of these tasty drops a try over the Christmas period. 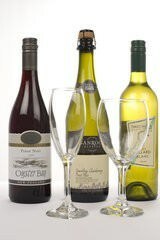 Make sure to also suggest any wines you have come across, I am always looking for more “favourites”.